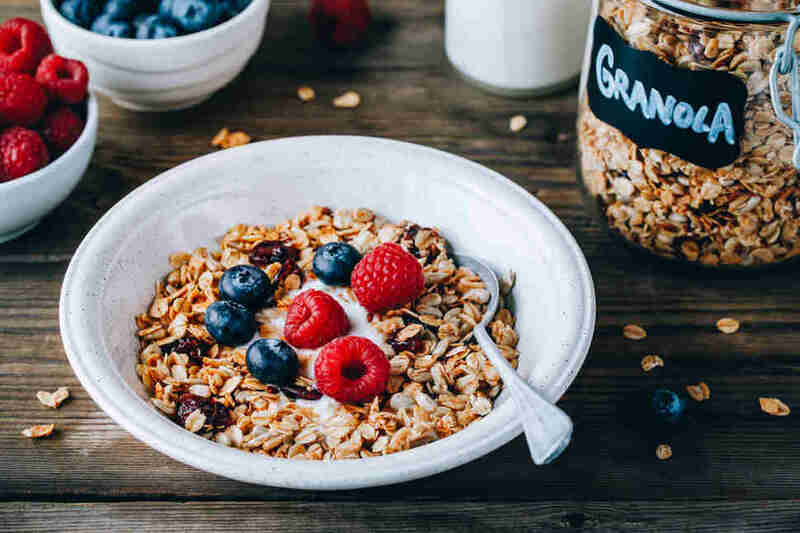 Given the long-running national consensus surrounding breakfast’s vital place in our lives, it's an absolute travesty that we (all 325.7 million Americans on earth) treat it with such negligence. One symptom of said negligence: an invasive species of pastry that has scraped its way through the food chain and laid its crumbly hands over the necks and stomachs of hungry people everywhere. We’re talking about the muffin. With an average muffin packing more than 400 calories and a mind-melting 40 grams of sugar in one serving, eating a muffin for breakfast is exactly the same as taking out your heart, putting it in on a serving dish, and then covering your heart with killer bees whose own hearts are filled with spite. The muffin as a whole isn’t a bad thing: convenient, delicious, easy to snack on when you’re rushing for the train, but let's be honest about it, it's nothing more than a frosting-less cupcake masquerading as a sensible adult breakfast choice. Let us curse the day the ludicrous concept of a muffin as a means to a balanced breakfast entered the mainstream -- which begs the question: when did this all happen? According to author, muffin aficionado, and Associate Professor of the Practice and Director of Gastronomy at Boston University Megan J. Elias sheds, it all starts with the British. 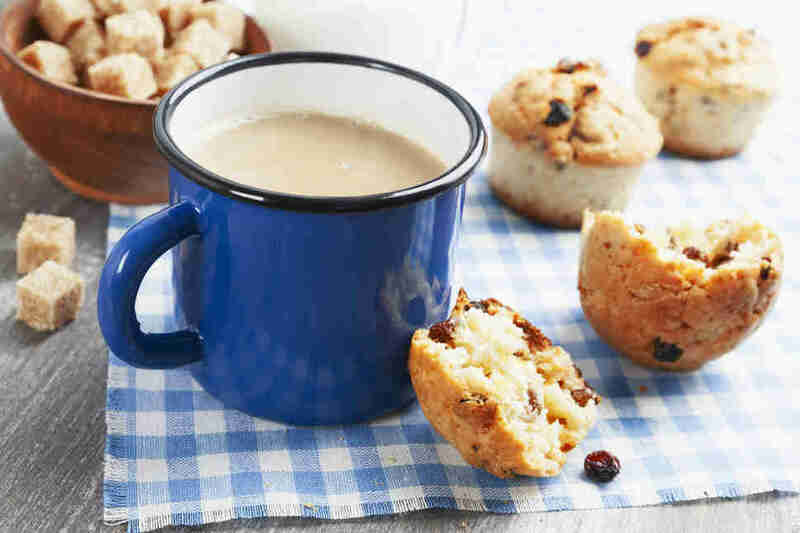 “Muffins were originally a small, yeast-risen breadstuff, pretty common in English homes. With the rise of the middle class in the 19th century, families could afford to hire cooks, If you have someone who you can command to wake up before you, you can have hot food for breakfast without any trouble to yourself, so gems and muffins became popular.” Elias continues to say these little “yeast-risen breadstuff” items were originally called “gems” and became particularly popular in the 1830s. But when did the modern muffin as we know it enter the American breakfast scene? More than 100 years later. Incidentally, the change in breakfast culture evolved alongside (and perhaps, because of) the change in gender roles. Moms were working more, giving them less time to eat at home, leading to the kinds of meals kids and mothers alike could prepare and eat quickly. Now, the very same enlightening period is leading to the decline of the breakfast muffin -- hopefully. So, what in the name of all that’s holy does one eat for breakfast instead of stuffing a 500 calorie dessert in disguise into your mouth? Well, it turns out there are loads of choices for those inclined to -- ya know -- live a long time. Goergen is a clinical dietitian who assists patients and clients in weight loss, diabetes prevention and management, and realizing that muffins are not who you thought they were. So, what do Scheinman and Goergen suggest you do in lieu of these crumbly time bombs? FWIW, Scheinman offered to send over a recipe for her famous homemade muffins. I respectfully accepted her offer. Goergen also believes in a well-rounded -- and homemade -- breakfast filled with protein and fiber. “Add in whole grains like oats or fruits like apples and pears. Replace oil with applesauce to cut some of the calories, and consider pairing it with high protein options like eggs or low sugar Greek yogurt,” adds Goergen. 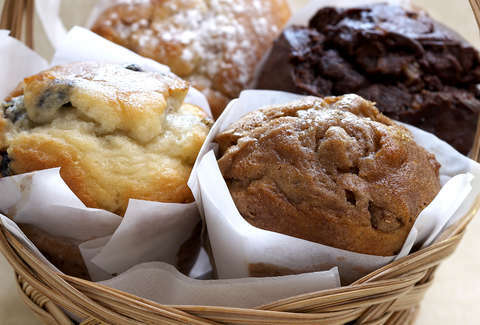 Okay fine so maybe not ALL muffins are bad -- but next time you ask for one from the pastry display at least you'll know what you're getting yourself into -- a potentially crippling dessert-for-breakfast habit. Jeremy Glass is a Brooklyn-based writer dabbling in advertising, branded content, creative strategy and so much more. Follow or die: @candyandpizza.